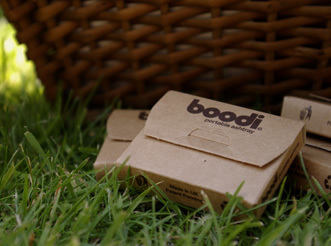 The boodi portable ashtray is the first ever pocket ashtray to be made from recycled, recyclable and biodegradable materials. We invented it to provide an eco-friendly alternative to the millions of plastic pocket ashtrays that end-up in landfill sites every year. 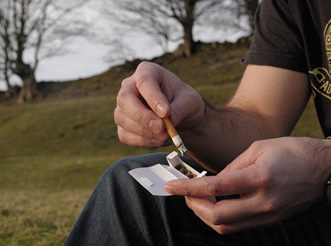 It is the ideal promotional ashtray, which allows you to communicate with smokers in an environmentally responsible way, whilst effectively reducing cigarette litter and preventing forest/ countryside fires. 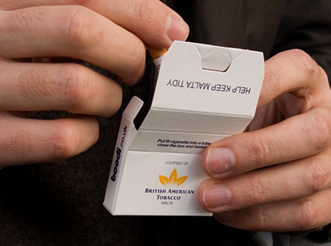 Our boodi portable ashtray is very much a disposable ashtray for quickly extinguishing and storing cigarette butts. 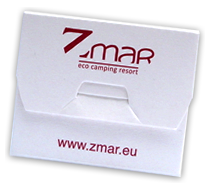 It’s ideal for use at visitor attractions, music festivals, the beach, the golf course, outdoor events, holiday resorts (like Zmar - see left), while walking in the countryside, etc. 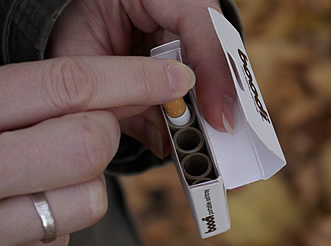 Once the user decides to no longer use it, the entire ashtray can be recycled with standard cardboard waste. Why choose the boodi portable ashtray?